Yerzley Mechanical Oscillograph Applications - Tavdi Company, Inc.
AYO-IV is readily adaptable to extensive mechanical testing of rubber, plastics, and other polymeric components and damping devices in relation to product design, Research & Development investigations and Quality Assurance operations. It may also determine creep and set of materials under dead load and measure consistency or flow of viscous and putty-like materials. These components are used in the railroads and underground train railways to absorb the noise that the trains generate as they travel. Especially, soft pads and similar elastomeric vibration isolators can be designed and manufactured according to the specific needs of the projects. 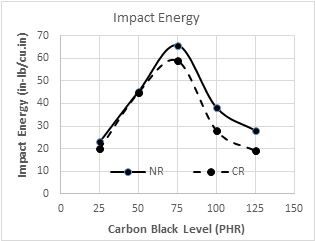 AYO-IV testing does help to identify the isolation region by generating the transmissibility / Frequency Ratio curves for different specimens manufactured from different rubber compounds. These rigs have to be isolated from ground vibrations (seismic) and each of their four legs have to have vibration isolation elements, composed of elastomeric and steel sandwiched inside the posts. These elastomeric components need to be tested as per ASTM D945-06 test method for dynamic modulus under compression and shear modes. Such vibration isolators are characterized for their performance by tests run on AYO-IV in compression and shear modes. Foundations of skyscrapers must have well designed seismic isolators, which can absorb shock waves and reduce their effects, that can hit the foundation from all different angles and in multiple amplitudes with phase difference, etc.. For that reason, these elastomeric pads have to be designed very specifically for this job and AYO-IV is the right instrument to characterize the response behavior of such pads to seismic shock waves. All heavy machinery have to have these isolators, to dissipate the vibration generated by the machine and to minimize the vibration noise and the motion to affect the surroundings, such as laboratories, offices, etc.. In this case, high precision instruments have to be isolated from all ground noise and vibration, such as the road generated and or machinery induced vibrations, etc. Most equipment used by the military have to be isolated from all sources of vibration and noise. Heavy duty marine fenders and dock bumpers have to be designed to absorb shock waves such as ships docking and putting enormous pressure on these elastomeric shock absorbers, which go under compression and shear forces deforming them. AYO-IV is the ideal equipment with its fast and user-friendly output characteristics, to assist the rubber manufacturers and their designers, compounding crew, etc. Historically it is proven (General Tire) that AYO-IV can predict the results of a rolling resistance test on vehicle tires, with reasonable accuracy, though not to replace such tests done on specific equipment, that are designed solely for that purpose. AYO-IV is the ideal equipment with fast output and its proprietary user-friendly software to assist R&D industry to design and study Rubber and polymeric compounds under low frequency compression and shear forces. AYO-IV use simple harmonic motion and produces a range of natural frequencies for the same specimen with different mass distribution to obtaining a variety of moments of Inertia. The nuclear waste industry requires very long term storage under extreme condition, some of which can be compression and shear forces, which may cause the deformation of the canister caps, which contain sealing o-rings and other components to isolate and never allow the radioactive material to leak to the environment. Such elastomeric components have to be designed with the best knowledge of their natural frequencies to recover from any deformation, before causing any leak whatsoever to the environment. 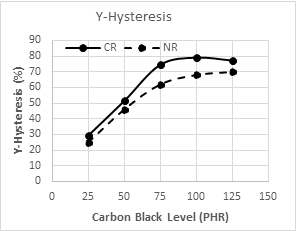 The natural frequency characteristics of these elastomeric components can best be identified by testing them on AYO-IV.